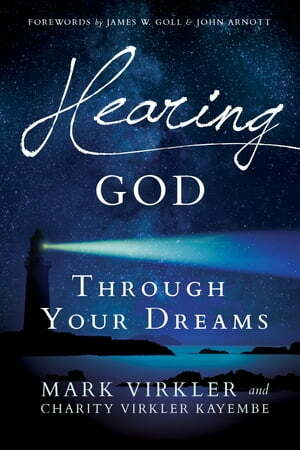 Collins Booksellers - Hearing God Through Your Dreams by Dr. Mark Virkler & Charity Virkler Kayembe, 9780768409987. Buy this book online. Through your dreams, you can hear and discern the voice of God. The question is: How do you simply and Biblically hear God speak through your dreams? Hearing God Through Your Dreams is a practical and powerful guide to understanding the language that God speaks at night. Through revelatory teaching, supernatural stories, and a refreshing, down-to-earth approach, Mark Virkler and his daughter, Charity Virkler Kayembe, will help you learn how to begin hearing God’s voice through your dreams. Don’t miss out on what God is saying to you while you’re sleeping.